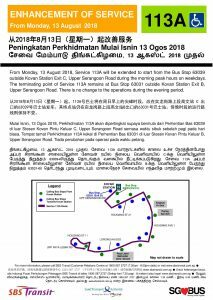 From Monday, 13 August 2018, Short Trip Service 113A will be extended during its weekday morning operating hours to start from Kovan MRT Station, instead of Upper Paya Lebar Road. With the extension, both the weekday morning and evening peak trips of Service 113A will start from Kovan Stn Exit C and end at Kovan Stn Exit B along Upper Serangoon Road, via Upper Paya Lebar Road. 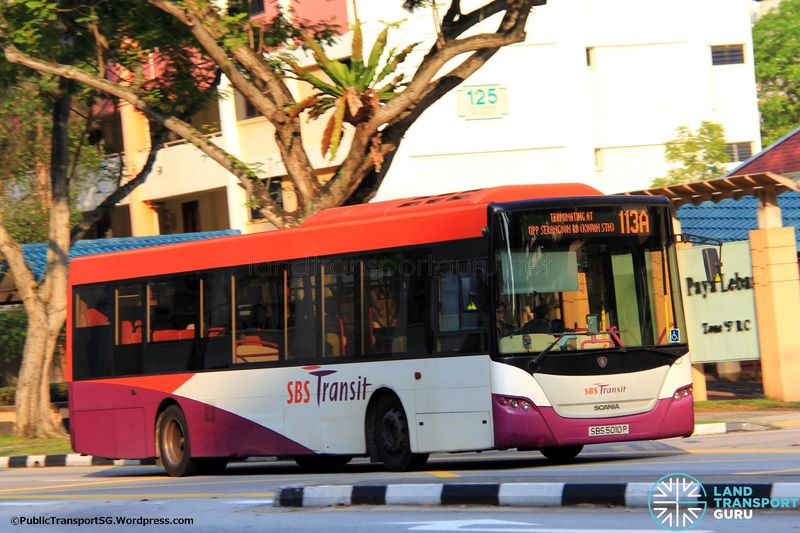 Operating hours for Service 113A in the morning will also be revised from 6.30am to 8.50am on weekdays. There will be no change to the evening trips for Service 113A.